Summary: Have you ever felt tired of those traditional printed birthday cards wishing you Happy Birthday with their dusty fonts and ancient designs? Don’t worry now! Here is great news - AmoLink offers a modern and innovative tool that helps you make unique birthday cards. Various dynamic card templates are waiting for you. Among the many celebrated occasions in one's life, birthday is most exclusive and special. Since no two people have the same preferences, everybody would like a perfect and creative birthday celebration. To keep an unforgettable birthday party celebration, there is no doubt that the exquisite invitation card lays the foundation. With the emerging of e-card, today traditional printed birthday card has gradually been replaced. When searching online, you will find millions of beautiful e-card websites. They not only offer you various templates to customize but enable you to share artwork in different ways. AmoLink is an outstanding e-card making platform among those websites, besides has more innovative functions. The dynamic birthday invitation card above is just the artwork made by AmoLink tool. 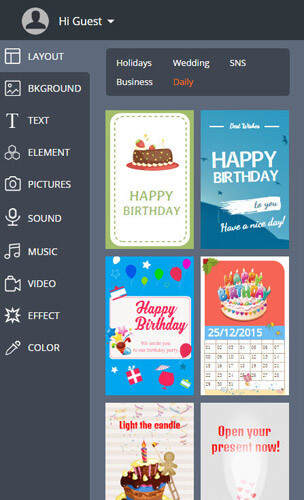 With AmoLink tool, you can make birthday cards for any occasion you like to convey messages and feelings. Besides, the simple procedure to make birthday card also let AmoLink e-card tool stands out among various e-card maker. Below are four easy steps to make AmoLink birthday greeting card. 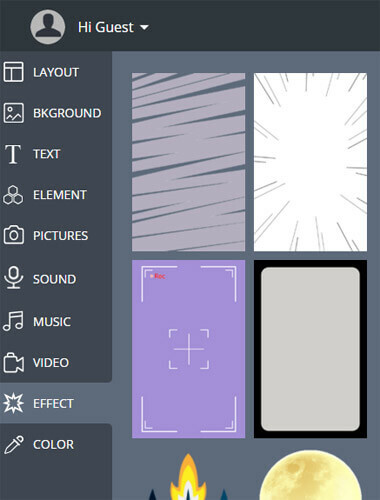 Step 1 Click the “Free Try Now” button to the editing page, and choose the card layouts or backgrounds. Step2 Upload your photos in or design your own from scratch. 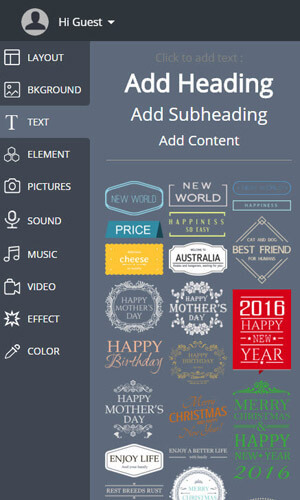 Step3 Manage birthday elements, effects, color, text, music and video to maximize your design. Step4 Preview and save your work, choosing the way you wish to share. There is much function to discover in AmoLink tool! 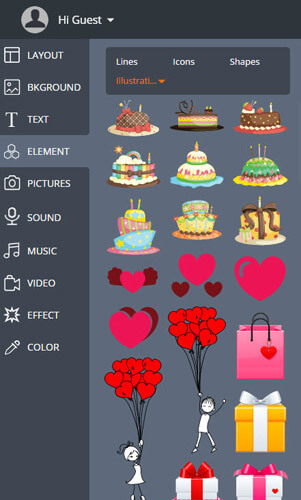 The AmoLink platform has a whole range of options such as elements, effects, text, pictures and colors to make dynamic birthday card. All these allow you to experiment and try your ideas out to achieve information and image perfection! 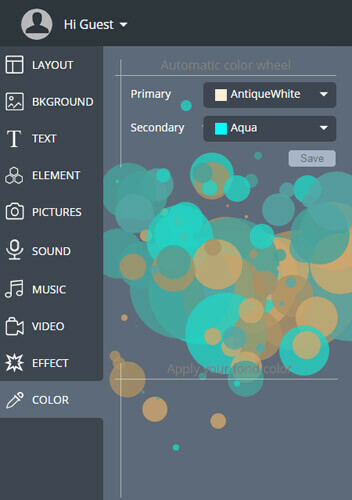 AmoLink provides you all range of elements to meet your standards and editing desires, including beautiful lines, special icons, basic shapes and other illustrations specially designed by artists. With a huge number of designs spanning a wide range of topics and inspirations, AmoLink provide the perfect platform to create your unique birthday cards. 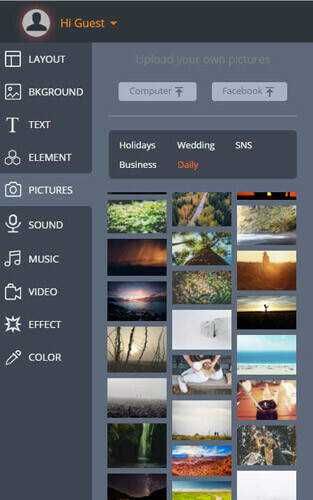 AmoLink offers you online photo effects and filters of all kinds for free, just try the effects editing feature now and experience the most powerful. You will find more when you explore. Keeping up with modern trends, AmoLink of course also offers a huge number of possibilities for your birthday cards creation. AmoLink text function offers you to adopt fonts directly from your computer and also from our various online fonts. You can add text to your birthday card templates directly online for free. You will find that all comprehensive text settings are available at AmoLink. Besides, you can set the text size as you like. There is a huge collection of pictures in AmoLink tool, including animations, landscapes and scenes. With these pictures, you can utilize different level of light exposure to enhance an image, bringing out greater detail, and all round better image quality. Your artwork will be easily done here. Color is the key to a successful design, which can represent your feelings and ideas. When creating your birthday card, you can contrast and match different color effects to meet all your needs. Experiment for yourself, you will find more surprise! AmoLink birthday greeting cards can help you to communicate your feelings and thoughts to your dear and near ones. You will find the artwork made here is a real feast to eyes and mind blowing. What are you waiting for? Come and explore more innovative goodies from our website and have fun with using AmoLink platform!